19 December 2018: A sharp decline in prices as well as mounting pressure of oversupply has forced OPEC and its allies to cut production, however, crude tanker demand is unlikely to be affected. China’s domestic demand for chemical shipping has been boosted by the rapid expansion in Chinese base chemical production capacity for products such as paraxylene and stryrene. With less than 11 months left until the IMO 2020 regulation on low-sulphur bunker fuel comes into effect, the availability and price of the low sulphur fuel oil (LSFO) as well as high sulphur fuel oil (HSFO) are still very uncertain. The uncertainty is making investment decisions pertaining to the upcoming regulations difficult for all industry participants, ranging from shipowners, charterers, refiners and bunker suppliers. Our tanker shipping practice is highly respected in the industry and is regularly followed and referenced in both industry and mainstream media. The team is responsible for maintaining extensive information resources and conducting weekly, monthly and annual analysis on the sector and assessing the impact of macroeconomic as well as regulatory and environmental change on the sector. In addition to detailed market analysis and rigorous forecasting, we offer market leading analysis of crude oil, products and chemical shipping markets, covering all the principle vessel categories, as well as appraisals of shipping finances, including pricing, operating costs, vessel values and investment returns. We challenge conventional wisdom through our deep understanding of the trade dynamics driving demand for different vessel types in all corners of the world. Our consultants typically provide charterers in industrial and utility sectors with seafreight procurement advice, shipowners with market entry strategies and commercial and operational due diligence for investors and lenders. Meanwhile, our team of financial research specialists provides actionable insight on the leading tanker shipowners. Chemical shipping freight rates will weaken through 2018 due to the depressed outlook on overtonnaged long haul routes, according to Drewry’s latest Chemical Forecaster. The client needed to undertake a business assessment and strategy planning exercise for its product tanker unit. 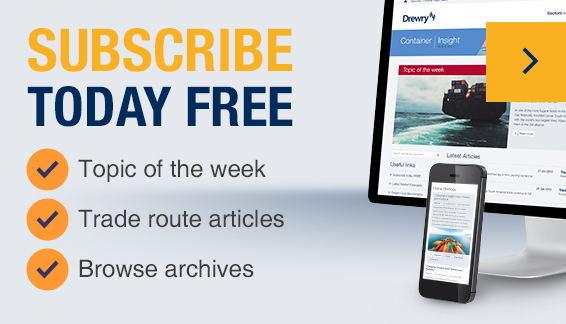 Drewry was engaged to provide an analysis of the market fundamentals, characteristics and business viability, especially in the Aframax and Suezmax tanker segments. A forward-looking and insightful market analysis and 5 year forecasts for the product tanker shipping market. All quarterly report updates are accompanied by tables and charts in MS Excel format. This Forecaster annual subscription package now includes FREE Monthly Supplements. Tanker sector update - Is it time to bottom-fish crude tanker stocks?